Equity Lacrosse develops and manufactures products for those with low vision, like the Digital Alarm Clock with 1.8 Inch Jumbo LED. 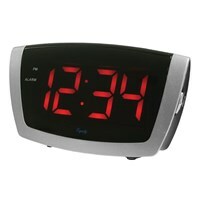 This large display digital alarm clock helps those with low vision with its big, easy to see 1.8 inch red LED screen. With this Equity Lacrosse alarm clock, theres no more straining to see the time.